← What sets off your “spider sense”? Most visitors to Hong Kong know that Queen’s Pier, dismantled last year and now in safe storage, was once the designated landing point for royalty, gov-ernors and other VIPs; and, rightly in my view, it deserves its place in the history books. Yet, not many know that, before the original Queen’s Pier was built, the reception point for visiting digni-taries and colonial governors was the Blake Pier, built in 1900, at the end of Pedder Street – which shows just how reclamation has changed the harbour front. At first, the Blake Pier had no cover. But, in 1909, an Edwardian-style, structural steel pavilion was built on top, providing grateful travellers with shelter from the elements. However, nothing in this world is permanent, and the pier was demolished in 1965 – but the pavilion was preserved: it was dismantled and rebuilt in Morse Park, in Wong Tai Sin, where for the next forty years it served as a rather grand park shelter. 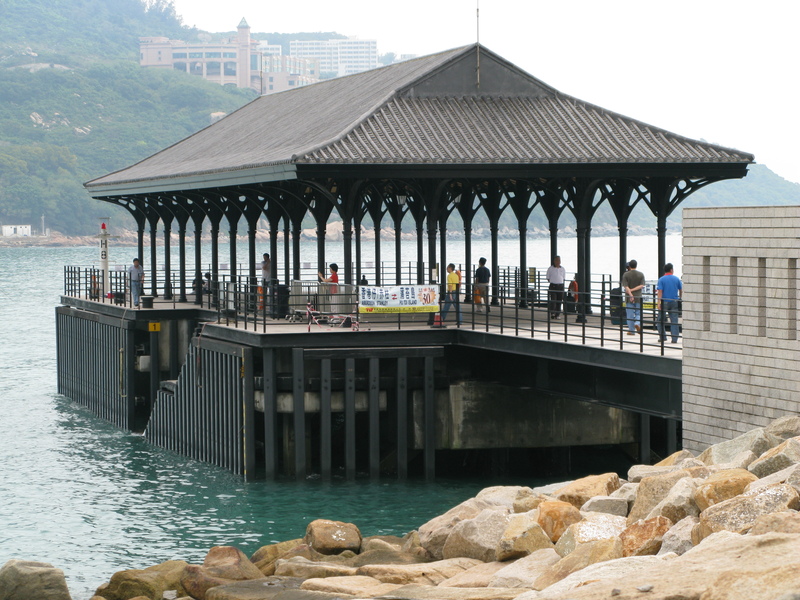 Then, in 2006, as part of the plan to beautify and revitalise the water-front at Stanley, the Blake Pavilion (as it’s now called) was again dis-mantled and relocated. Now fully restored to its original condition, and standing proudly next to Murray House (another example of Hong Kong’s heritage), it once again shelters a ferry pier. The Hong Kong government is not famous for preserving the heritage of Hong Kong (in fact, it has often shown great insensitivity on the subject) but – praise where praise is due – it’s done a good job of work in Stanley. When you have a day to spare, I recommend you visit Stanley … it’s well worth the trip. Take the No.6 bus from the Central Bus Station, which is under Exchange Square, next to the IFC building. For the best views going to Stanley, sit on the upper deck on the right-hand side. Left-hand side on the way back. 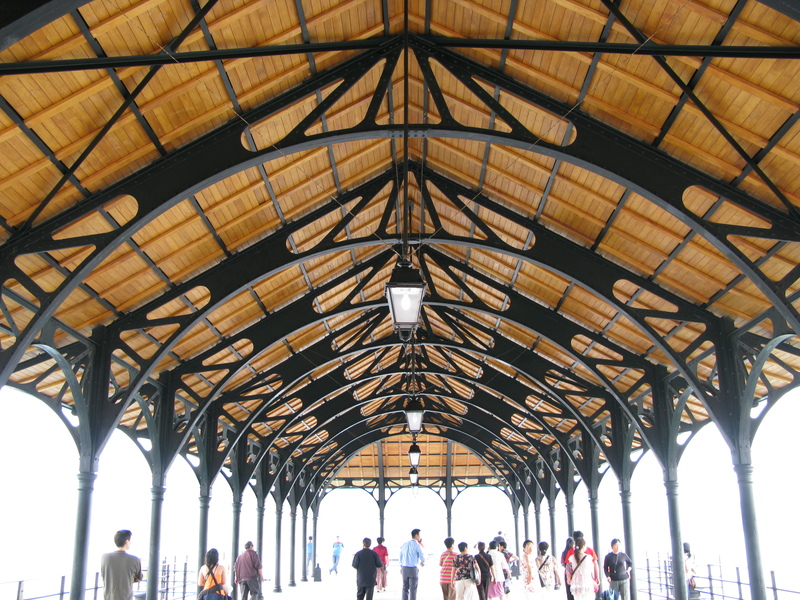 This entry was posted in HK Buildings and tagged Blake Pier, Queen's Pier, Stanley, steel trusses. Bookmark the permalink. Time to lance this boil? What sets off your “spider sense”? This is a republican. So what’s George W. Bush?